Deferred-income annuities are making their mark on the insurance world, shaping up as more than an esoteric niche product. Since New York Life first introduced its DIA about two years ago, these annuities have quickly gained in popularity, growing to a $395 million market in the first quarter of 2013, which was 147 percent higher than the first quarter of 2012, according to new LIMRA research. Mark Paracer, senior research analyst at LIMRA, said the past year has seen lots of activity surrounding DIAs. Nine companies now offer DIAs, with five of them launching in the last 12 months and four of them coming out in the past six months, he said. So, what is a deferred-income annuity? Simply put, it is a guaranteed life income product that people purchase later in life to hedge against their own longevity. Investors typically purchase a DIA five to 20 years before they think they will need it so they can have a nice chunk of guaranteed income after the rest of their retirement savings has dried up. DIAs are sometimes called longevity, deferred payout or advanced life-delayed annuities. They pay income to the policyholder beginning at least 13 months from the policy date. So far, Baby Boomers have been their primary target. “Most Baby Boomers, when buying this product, use qualified dollars,” said Jafor Iqbal, associate managing director of retirement research at LIMRA. In other words, they take money they’ve saved in their 401(k) plans to purchase DIAs. Many younger Boomers haven’t worked for companies with defined benefit pension plans and they realize that Social Security benefits won’t generate enough income to keep them financially secure through their retirement. That’s why a DIA seems very attractive to them, Iqbal said. 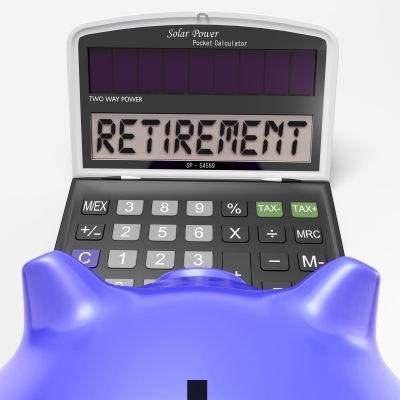 Ross Goldstein, director of marketing in the retirement and annuity division of New York Life, said his firm’s research indicates that consumers tend to draw up their retirement blueprint roughly five years before they exit the workforce for good. For that reason, New York Life entered the DIA market in 2011, when it launched its Guaranteed Future Income Annuity (GFIA). Earlier this year, the product surpassed $1 billion in premiums. For that typical 58-year-old who places, say, $100,000 in the annuity today, he or she could expect a 10 percent payout, or $10,000 per year for life, starting at age 67. The policy also permits an owner to switch their start date one time, Goldstein notes. When deferred-income annuities were first introduced to the marketplace, it wasn’t clear how well they might do. They weren’t flexible, and the only way a buyer would get anything out of them was if they guessed how long they would live. If they died before their annuity kicked in, their heirs wouldn’t get a cent back. But most of the DIAS that have been marketed more recently protect against that, said Iqbal. For example, if a client dies just as they are buying this product, they will get back the entire premium they have paid. And, again, they now typically have the flexibility to choose when to start their income stream. “They may need to start early or if their circumstances [warrant], they can wait another few years or months. They can decide,” he said. The DIA market, in short, has become less like gambling. Of course, customers will pay more to receive the higher incomes that come with a deferred income annuity product. With DIAs, individuals don’t have years of compounding to reach a higher level of income. They are paying more upfront to get a higher check later. ING U.S. Annuity and Asset Sales just recently entered the market with a hybrid DIA that includes more flexibility. “We wanted to create flexibility for them to get at that money and access that asset,” said Chad Tope, president of ING U.S. Annuity and Asset Sales. “The marketplace is one that is growing,” Tope said. “We’ve seen deferred-income annuity sales take off with our competitors. New products are coming in,” he said. The insurance industry is targeting pre-retirees, those who are 50 to 60 years old. The pitch is straightforward: traditional retirement is becoming harder to attain. Many individuals say they expect to work through retirement because they are afraid their assets won’t last them through their Golden Years. There are nine companies now offering DIAs in the United States with another nine set to enter the market in the next year, according to LIMRA. More education has to take place in the marketplace before DIAs truly become a contender in the annuity marketplace, said Tope. “Advisors need to shift their practice to understand how they are going to do this income-planning, longevity-planning for clients,” he said. It’s all about helping clients maximize what few retirement dollars they have. One of the advantages of a DIA is that buyers can plan their retirements much more effectively with these products, Tope said. As far as the negatives go, some DIAs on the market still lack flexibility and there is always the possibility that interest rates will jump up dramatically, reducing the DIA’s attractiveness as a lifetime income product. Right now, interest rates are at all-time lows. Regardless, as these products continue to evolve, they will become an even larger part of the insurance market, Tope said. “The income component is going to be such a big part of what insurance companies and advisors are able to do going forward, there will be a lot of innovation along this line,” he said. “It gets me excited again about where we’re going as an industry,” Tope said.